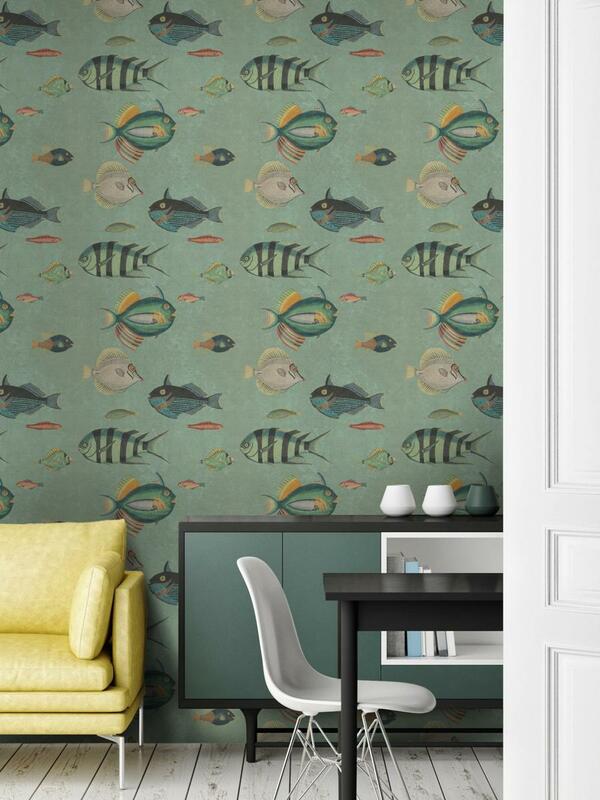 A fish pattern wallpaper inspired by the Mediterranean. Part of the Mediterraneo collection. The Story is inspired by the Mediterranean Sea with it’s wonderful blue opalescence and rich underwater life. 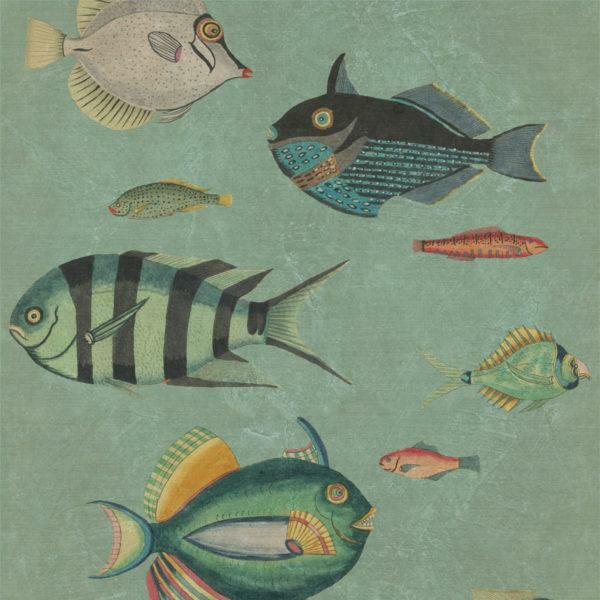 A limited collection with a strong aquamarine presence and mediterranean hues that creates a cosy seaside atmosphere.